Disclaimer: We are not funded and/or endorsed by NASA. For the last few months I and my team have been working hard to acquire and digitize NASA computer tapes from the 60's to 70's. By now we have been able to pick the fruits of our labor as we have digitized about 6 reels out of 10. We expect to be able to digitize an other one after our drive got upgraded. The tapes so far have been acquired from Ebay. This tape came from General Electric, and is one of our four Switch Action Table tapes. 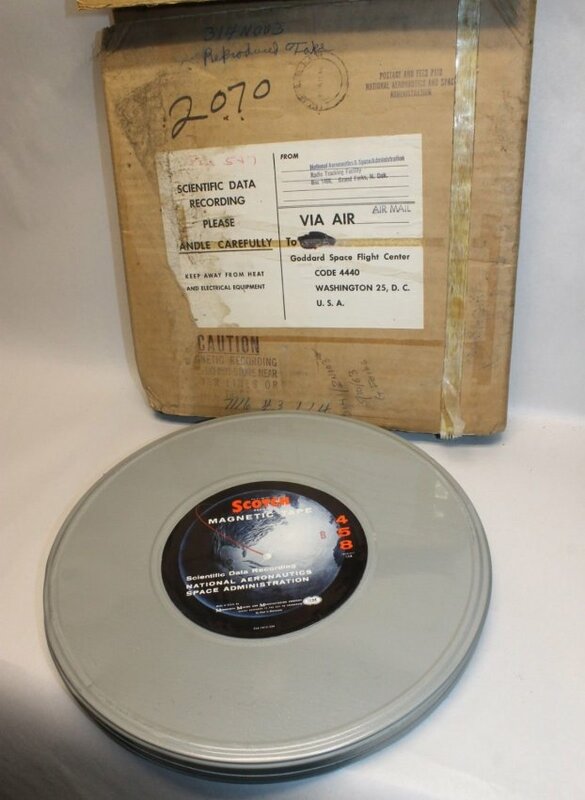 The other Switch Action table tapes came from Skylab. 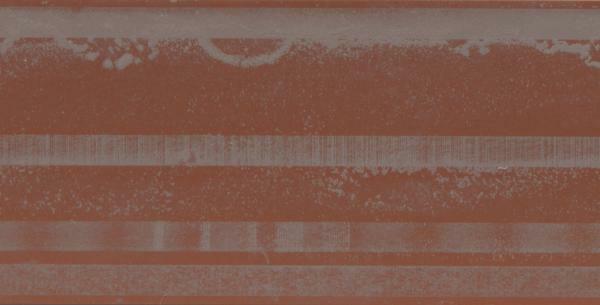 We also got Pioneer 11 tapes, likely with image data. 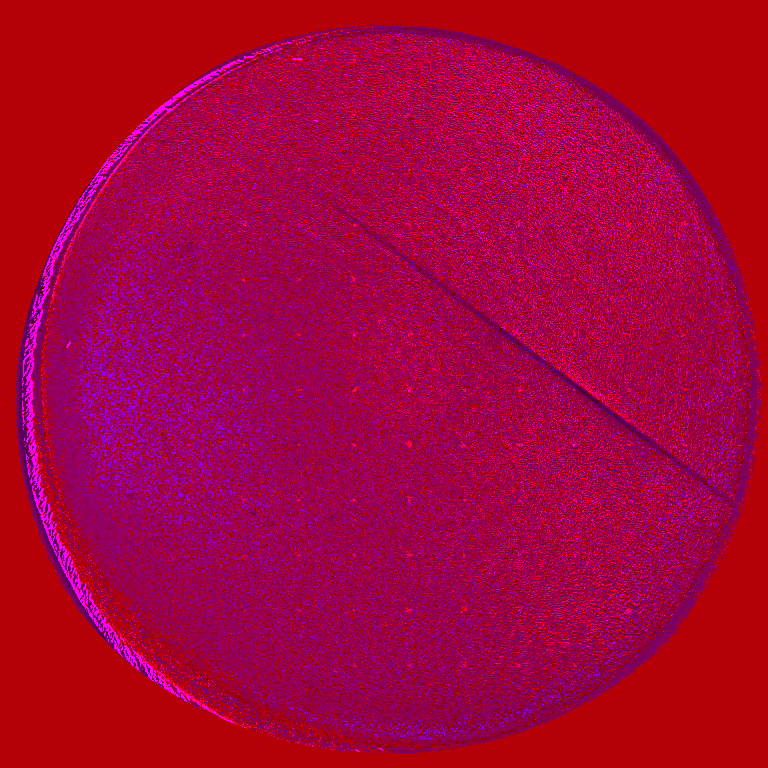 We are still working on decoding the binary data into modern images so you can open it in a modern computer. Any help with this would be great. The raw binary data is saved in the SIMH .tap format, which is wildly used by museums and computer simulations to mount magtapes. If we know what kind of data it is, we will also convert it to ASCII. Like the Switch Action Table tapes and Pione-QK799H tapes which contained EBCDIC text that we converted to ASCII in a separated file. We would love to identify what the Switch Action table tapes were used for at NASA. The tapes were clearly meant for something Saturn-V related as the text file mentions many parts of it. If you know anybody with more info, please ask for their help. They are from early to mid 70's. See tape photos for more info on the labels. Martin G. Tomasko of ASU. And Zellner. Where can you download the tapes? Help us identify what our tapes were used for, help us decode them into a modern format. If you know the location of tapes or any other medium for that matter, contact me to talk about data and info recovery. I can digitize a vast amount of mediums so do not be afraid to ask me! If you have Pioneer "images"*, they aren't easy to assemble (but probably highly valuable... keep reading), as the Pioneers didn't have a camera but only the Imaging PhotoPolarimeter, which only had 1 pixel. Looking at the photos of the tapes, there is indeed a tape with IPP in a label! There seems to be a "9 OCT 1975" on the top of it, so that would be data for Jupiter or there abouts (don't know if the IPP was used between Jupiter and Saturn, like it was used between Earth and Jupiter). The Pioneer 11 Imaging PhotoPolarimeter (IPP) data would be interesting. The existing image records are printed photos, done with 1970's image processing. It's possible to get much better results working from the original raw data and with modern techniques. The IPP worked somewhat like the current Juno "camera". Software was written to display Juno images, correcting for spacecraft position, orbital motion, etc. So it's theoretically possible to do the same with Pioneer images. It has been a while since I last posted here. A lot of progress has been made. In order to celebrate (almost) new year, I have decided to release an alpha-version of the processed data from tape Pione-QK7992H done by Hans. He has seperated the binary data from all 12 files from the SIMH file and put each in their own folder. When applicable he converted them to images. Each folder is supplied with the raw binary data and readable ASCII metadata. Last edited by apollo16uvc; 12-30-2018 at 01:36 PM. The images seem to have inverted levels. The file I supplied in my previous message should have multiple processings of each image. Normal, inverted, contrast equalized, normal contrast. Update # sat telemetry tapes. First off, welcome this thread to 2019! we have made so much progress. I hope everyone is doing well. Unfortunately due to the USA gov shutdown no progress has been made on receiving a NASA document we hope will contain the info we need to process all our recovered Pioneer data. 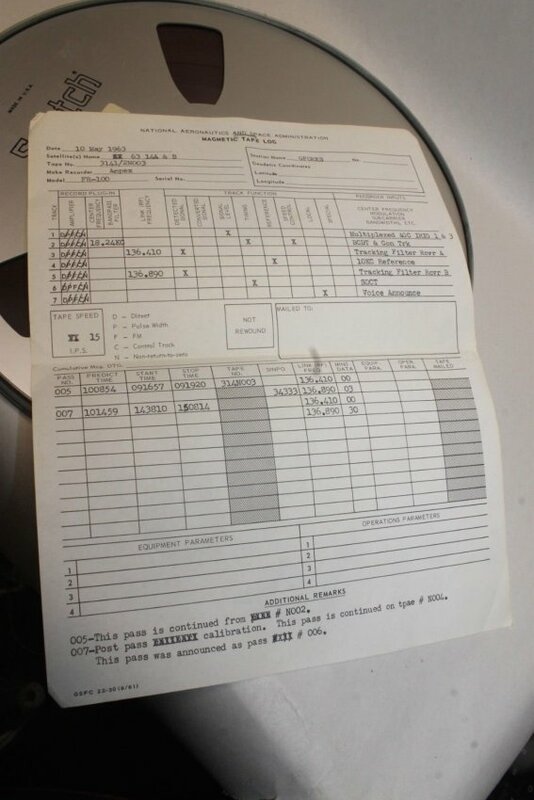 The document we are looking for is as follows: "PN F/G OFF-LINE DATA PROCESSING SYSTEM DESCRIPTION" "NASA/ARC PC-262"
NASA does have the document but we were told it could take a while for it to get scanned. If nothing changes we may have to make a FOIA request which they >HAVE< to answer. Hans is working on this. In the meantime, feast your eyes on the satellite telemetry tapes I have acquired. I ordered 5 and 4 have arrived thus far. Looking into getting 2 more that may have Vanguard and Explorer telemetry. These tapes contain the raw signal received from satellites at NASA tracking stations like GFORKS, STIAGO and WINKFIELD. It seems that there 2 telemetry tracks, 4 misc tracks (Including a reference track) and one voice track. If you adjust the 8-track head up and down, to align it with one track at a time I think we can pick up a good signal. I have talked with someone, and he says the tracks are just analog waveforms. I once played a 9-track 1/2 tape on a 1/4 4-track recorder, and I received an unusable but stable signal. The tape number on the boxes and documentation is 3141/2N003. The number on the reel itself is 10786-16-8. Peter will look for an other working unit to try his tape on to rule out a silent tape. We might have to send the Otari unit off to a company for repairs and calibrations. Depending on the costs I will look into crowdfunding repairs/cal, and getting multi-track digitization equipment. I will be reaching out to several people and websites for help on decoding the telemetry once we have digitized it. I will also do as much research as possible on the tapes to determine each tape's satellite. No things are set in stone yet, but to determine interest, would you be interested to contribute your cents to a crowdfund? I used to work in TV broadcasting, and just as I was starting, this technology was just coming to and end. The physical editing of videotapes gave way to electronic editing. It was never a good idea to physically cut a 2" video tape, the tape/head dynamics were quite stressful. The "developing fluid" was called EDI-VUE, and a tradename I think. Did do a few physical edits when I was in archive, occasionally tapes would catch an edge and had to be put back together. Never did any artistic edits! Friend of mine did use that equipment in anger, I can ask for more info if you want. Last edited by Notebook; 02-16-2019 at 11:40 PM. I would be interested if it is possible to calculate the signal frequency on the track by using the scans of the (Home made by the way.) magnetic viewing solution. I do have higher resolution scans. Waiting for my freind to get back to me. If you want to measure a frequency on the tape, thats fairly straight forward. You know the linear tape speed(15" p/s), a given frequency will give a regular pattern on your developed tape. You can measure the distance between similar peaks or troughs to find the period of the signal. From that you can find the frequency. To get an idea of distances on your tape, we will do it the other way round. You know there is a 10Khz frequency on track 4. The tape is running at 15" p/s, so there are 10000 peaks and troughs per inch on the tape.WRONG! there are ten thousand cycles per second. If you looked at the physical-editor we used in the videos above, it had a microscope fitted. I think it was x20 magnification. Not sure if any of the above helps, but it made my brain hurt! EDIT reason my brain hurts is because the above is wrong! forgot to multiply by 15 somewhere. I'll have a think. Yes, running at 15 ips gives a "wavelength" of .0015" on the tape. Still difficult to see without magnification. Last edited by Notebook; 02-24-2019 at 10:35 AM. Interesting subject, but not sure I can add very much. 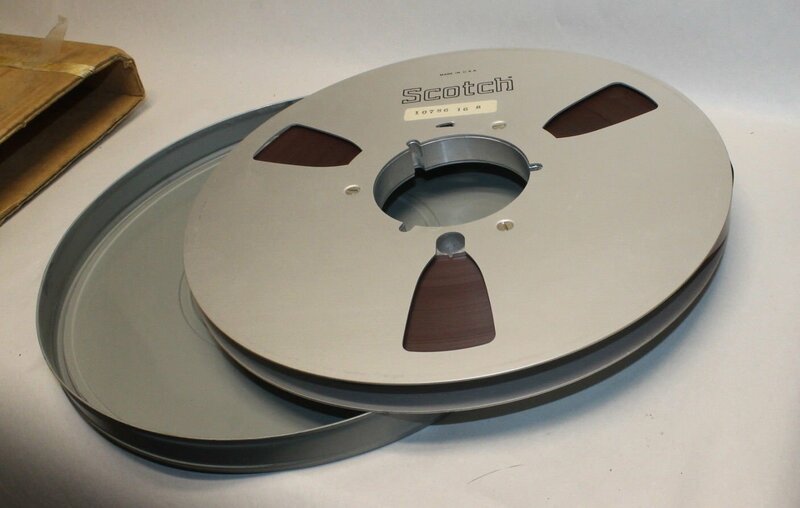 You are correct the magnetic tape developer we used was Ampex "Edivue". This was a fine dispersion of iron particles in a solvent, but I think Apollo16uvc has already made his own version of this. One thing that should be bourn in mind is that the 'brown oxide tape' he is looking at is on a precision spool. Given the content of the recorded material it might well have been recorded on an 'Instrumentation' machine.The type I used to work on was made by Honeywell, and had speeds ranging from 1 7/8 IPS to 120 IPS, they could also record in either 'direct mode' (with bias) or FM mode. To determine any signal frequencies, you would of course need to to know the original record speed. Nice morning, Ha wa fan chu. I think you have reached the level of our information! However if we can answer any questions we will. I have been trying to remember the model number, but so far no joy might come to me when I'm not thinking of it. It was quite a big monster mounted in a 19" rack, one reel above the other. The heads were mounted horizontally next to the rubber coated capstan drive roller, no pinch, but short vacuum bins for tape tension / control. The bins were interchangeable for 1" or 1/2" tape. Why do I keep thinking Honeywell 7600? Searched the web but cannot find a picture, will search my old Zonal papers, certain I have a picture there. 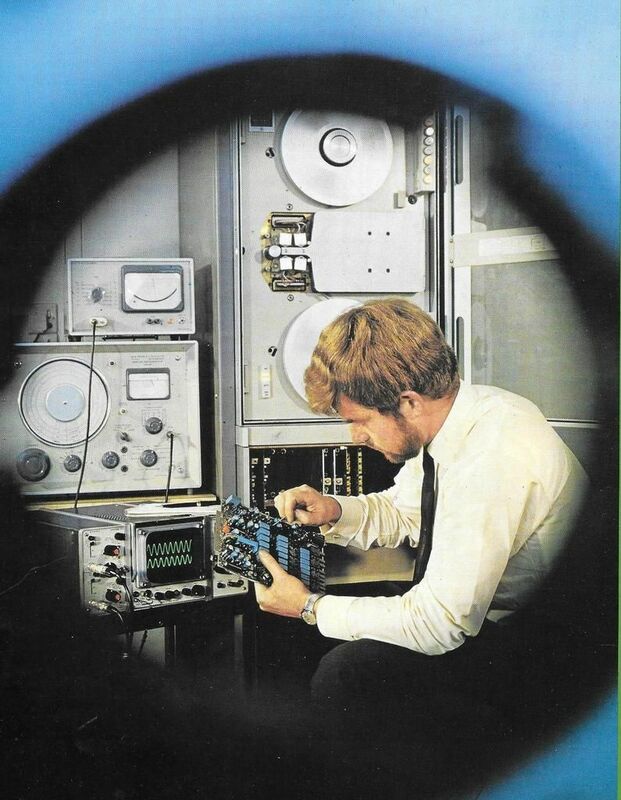 We had one of these for the development of the "Concorde" 1" data recorder tape. We were so impressed with the tape handling we bought another 10 transports, and built our own record replay electronics for the IBM 1/2" "Industry Compatible" computer tape production line. Full track record, 7 & 9 track replay for dropout error checking. Coo long time ago. That's fine George, sorry I didn't answer your comments regarding the tape record sheet, one seems to say 71/2"ips the other says 15 ips. Both sheets suggest that the recordings are FM rather than direct, although there is mention that one track is BCD? If the material required is FM then an instrumentation recorder with suitable cards would be needed. BCD to me is Binary Coded Decimal, but with 40+ year old instrumentation recorder, it probably is something else. Last edited by Notebook; 02-25-2019 at 05:54 PM.